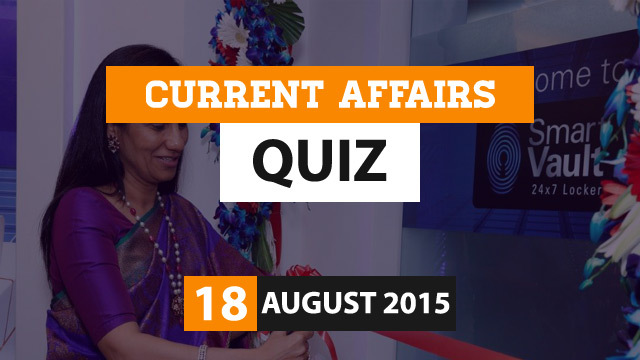 Friends..Here is the Daily Current Affairs Quiz Questions for 18 August 2015. Questions will be very handy for upcoming exams. 1) Which bank on 18 August 2015 launched ‘Smart Vault’, first of its kind fully automated digital locker facility in India? 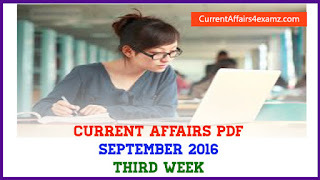 2) Name the wife of President Pranab Mukherjee who passed away in New Delhi on 18 August 2015? 3) State Bank of India on 18 August 2015 launched a mobile wallet app, SBI Buddy, in collaboration with Accenture and? 4) Kishor Piraji Kharat was on 17 August 2015 appointed as the new Managing Director & Chief Executive Officer of? 5) Which country recently successfully tested the power system (engines) of its stated to be the largest space launch vehicle viz. Long March-5 carrier? 6) Indian Prime Minister Narendra Modi was a two day visit to which gulf country from 16 to 17 August 2015? 7) Cricket legend Sachin Tendulkar was recently appointed as the new ambassador for the Tiger Conservation Project by which state? 8) Which Indian golfer created history on 16 August 2015 by becoming the first from the country to finish inside the top-five of a Major golf tournament? 9) Which state government on 17 August 2015 signed a MoU with Gautam Adani-led Adani Ports for building 7,525 crore rupees Vizhinjam seaport project? 10) Who recently won Rogers Cup Masters Tennis Tournament 2015?